Located in Norfolk county, Franklin MA borders Aqua Barriers hometown of Norfolk MA. Aqua Barriers Inc. is proud to provide the community of Franklin MA with the highest quality in roofing and customer service. Whether you own a residential or commercial property in need of roofing services Aqua Barriers has got you covered. Specializing in roof inspection, repair, replacement, gutter and downspout treatment and more, whatever your roofing needs Aqua Barriers is sure to solve your issues in a timely manner. We serve hundreds of customers with a wide variety of roofing each year, providing them with quality service and fast solutions using the best materials in the industry. Our service crews are highly-qualified and experienced in the industry, serving their customers with professionalism both in appearance and abilities. 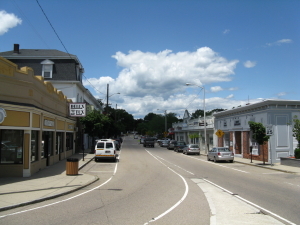 With over 25 years of solid experience as roofing contractors, we are proud to serve the many residents and business owners of the town of Franklin MA. If you’re in need of fast, efficient roofing services, call us to make a service request or fill out our convenient online form to request a free estimate today!